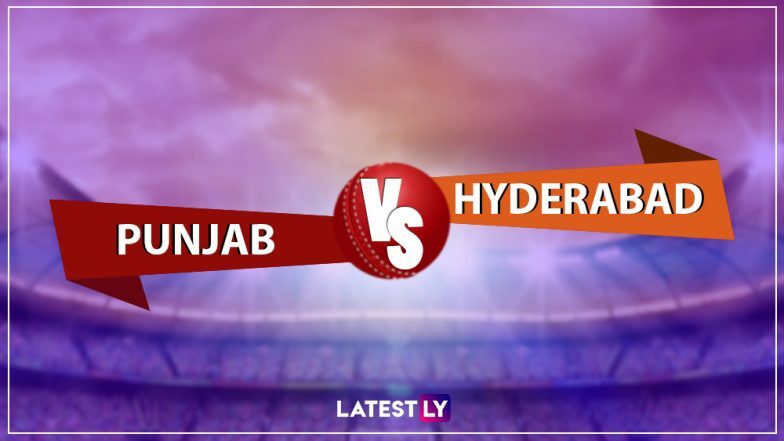 The match number 22 of the IPL 2019 is a mouthwatering clash between King XI Punjab and Sunrisers Hyderabad. Both teams have played five games in the IPL 12 so far and both have six points in their kitty on the point table. However, there is a substantial difference in the net run rate of the two teams and thus Kings XI is placed on number six and SRH occupies the third spot on the IPL 2019 Points table. Before we speak about the live streaming details of the match today, let’s have a look at the head to head record of both the teams. KXIP vs SRH, VIVO IPL 2019: Will Bhuvneshwar Kumar Reach 100 Wickets While Playing for Hyderabad in the Upcoming Game Against Punjab. The Sunrisers Hyderabad easily outweigh the Kings XI Punjab in the overall head-to-head record. Out of the 12 matches played between both teams, Sunrisers Hyderabad has won nine games and the rest have been won by KXIP. Out of the five times, the two teams have locked horns in Mohali, SRH has won four games and the remaining have been won by KXIP. Now let’s check out the live streaming details of the match. The IPL broadcast rights are with Star Sports Network. So, KXIP vs SRH IPL 2019 match live telecast will be available on Star Sports 1/HD, Star Sports 1 Hindi/HD. Star Sports Select 1/HD will also provide the live telecast of the match. Apart from these, the KXIP vs SRH match live broadcast will be provided on Star Sports Bangla, Star Sports Kannada, Star Sports Tamil and Star Sports Telugu TV channels. With Star Sports owning the broadcast rights, the live streaming of Kings XI Punjab vs Sunrisers Hyderabad, IPL 2019 match will be available on Hotstar mobile app and official website. For live score updates KXIP vs SRH match, fans can follow that here on LatestLY.